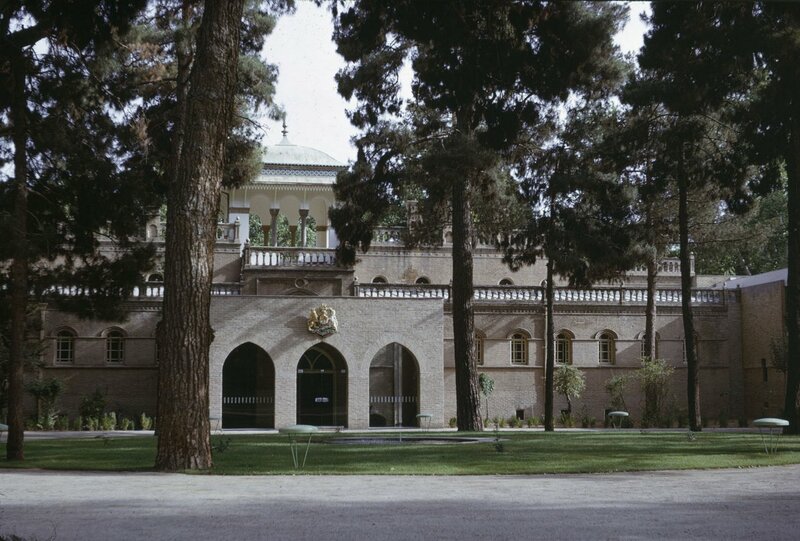 When Alison was arguing to London in the mid-1860s that new legation premises to replace Bāgh-I Īlchī were imperative, promising alternative sites were becoming available because the Shah had begun demolishing Tehran’s old walls to enable the city to expand in an orderly way. 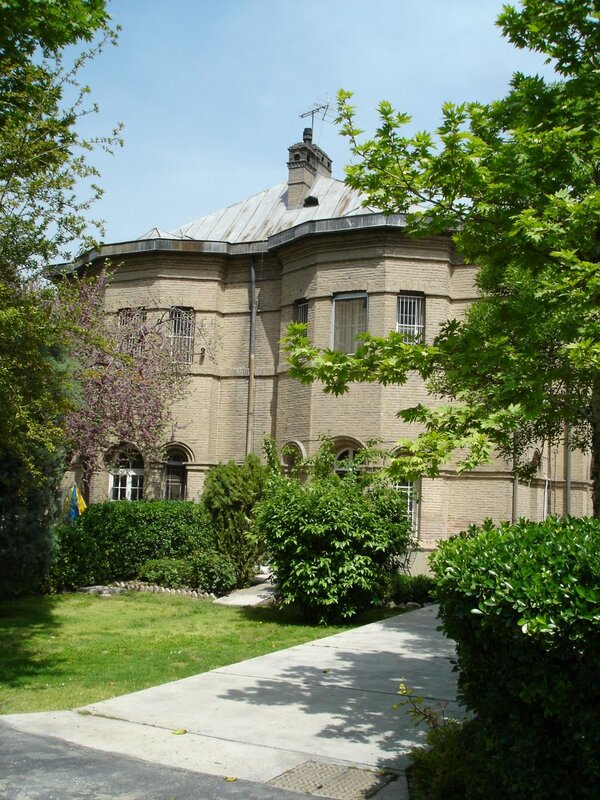 By 1867, London had agreed to the expenditure of £20,000, plus the estimated sale proceeds of Bāgh-I Īlchī of £12,000, to buy a new site in Tehran and build a new legation on it. In 1868, Alison identified a good 15 acre rectangular site, previously occupied by factories and barracks, on what became Ferdowsi Avenue, between Artillery Square and the new Shemiran Gate: the price was 20,000 tomans, about £8,000. Alison’s first choice of architect for the new buildings, Henry Pulman, died of typhoid soon after arrival in Tehran, so Alison turned to the Royal Engineers, commanded in Tehran by Captain Robert Murdoch Smith. He was at the start of his 20-year stint in Tehran (during which he suffered the awfulness of seven of his nine children dying – three of them on three successive days). 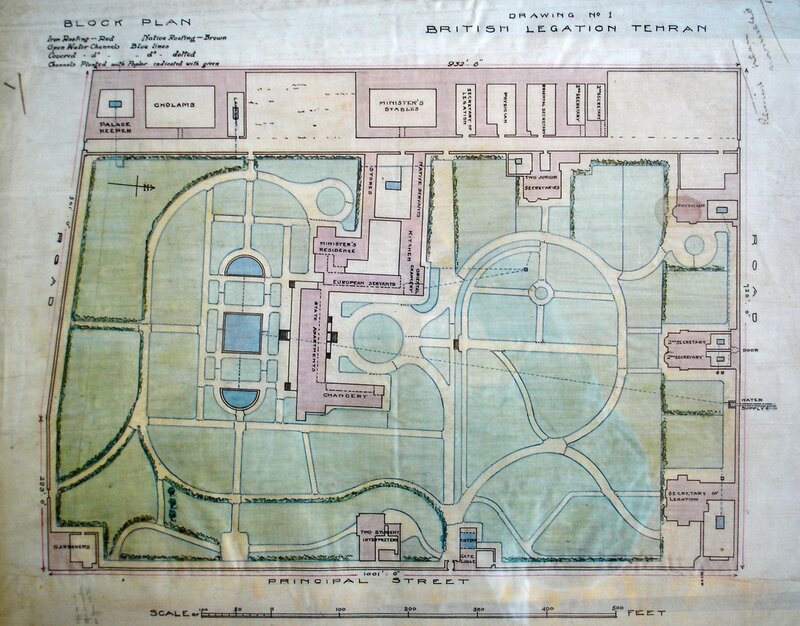 Murdoch Smith arranged for the India Office to release Lieutenant Henry Pierson from his telegraph group to superintendent the design and construction of the new legation. Pierson, not yet thirty, had a gilded record: star graduate of the Royal Engineers’ courses at Addiscombe and Chatham, a good linguist, and much praised for his record in the field, in Sikkim and Oudh, and his exertions on telegraph duties. Pierson began his new task by making a rough sketch of how the legation buildings might be disposed about the new site on Ferdowsi Avenue, and had it drawn up by an Austrian engineer in Tehran called Gasteiger. two student interpreters on the east side, just south of the gatehouse (House B). 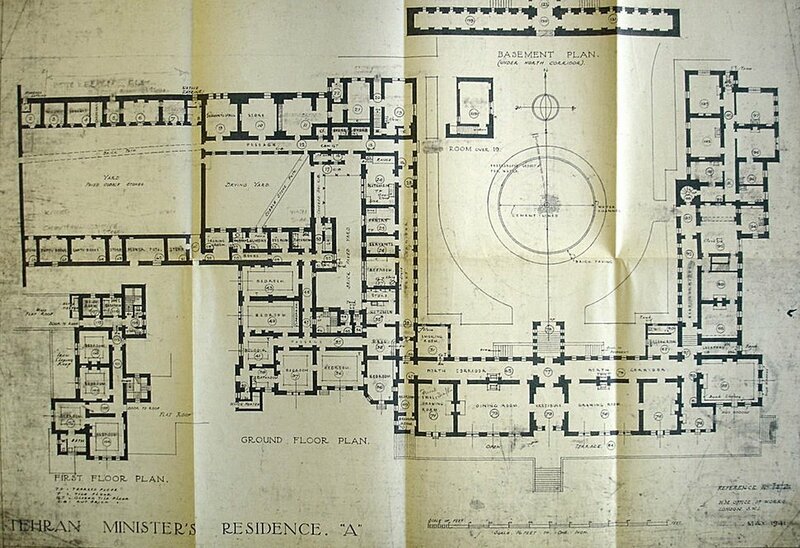 Although Pierson’s original sketch became the adopted layout for the compound, he required architectural advice for the centrepiece legation house. During his leave in London in the summer of 1869, Pierson commissioned for this purpose James William Wild, an architect working at the South Kensington Museum, an organisation with which the Royal Engineers had had close links since the Great Exhibition. Wild, who had spent some of his early professional years travelling in the Levant, had built St. Mark’s church in Alexandria in 1846 and, when Pierson approached him, was working as the fifth architect to be asked to prepare designs for a British consulate in Alexandria. Wild’s health was not good, and he no longer travelled, but he was well equipped to work up Pierson’s outline plan for the legation house into a full architectural scheme. The Office of Works was in no way involved with the pre-construction stages of the project, and had no desire to become involved with its superintendence. The Treasury, however, asked it to take on responsibility for procuring in the UK all the materials which Pearson would require to be sent to Tehran. These included the iron for the roof, for which Pierson had commissioned drawings from a W Dempsey and written the specification himself, requiring that no part of the roof should weigh more than a camel’s load of four hundredweight and the parts would be fit to be ‘put together on their arrival by an ordinarily intelligent smith’. Pierson made sure that long-delivery items were tendered and ordered as soon as possible, including a flagstaff, iron gates, rainwater goods, ironmongery and so on. A turret clock with four 7ft dials and a 4cwt. bell was tendered to nine suppliers in London, and won by Dent. By the time that he left London in November 1869, Pierson had in his hands Wild’s sketch for the main house: detailed plans followed in January 1870. Murdoch Smith had overseen the construction of a boundary wall around the site while Pierson was in London. After his return, construction work on the compound made relatively good progress such that, by the end of spring 1871, the brickwork and masonry of the legation house itself were complete and awaiting the arrival of the iron roof. The five adobe buildings on the perimater were roofed, with plastering in progress, and would become occupiable soon after the grates and ironmongery arrived from England; the servants’ quarters, stalls, cook houses and other dependencies were all well in hand. Early in 1871, the Treasury decided to transfer to the Office of Works, with effect from 1 April, the full financial responsibility for the Tehran project. This sparked the Office of Works’ suspicion that the Tehran project might be heading for an overspend. The Office suggested that it should also take direct control of the project on site but the Treasury insisted that Pierson should retain that responsibility. This put the Office of Works in a difficult position, especially as prices were increasing, the rate of exchange was worsening, the cost of carriage had doubled, and obstructions by the Persian authorities were plentiful. Pierson maintained that ‘the original design is so moderate and unambitious in extent’ that he still hoped to complete it within the estimate, though he suggested some precautionary savings, (including transferring some of the charges to the furniture account, a wheeze which the Office of Works refused to countenance). ‘The first caravan of 270 camels … left Bushire on 18 March. The second caravan of 97 camels left 21 days later both under a contract to reach Teheran (a distance of 750 miles) in 70 days. … Up to the present date (26 April) these caravans have not got further than Konartakhte about 70 miles from Bushire, having been detained there for more than a month by officials in charge of the tolls.’ After Alison had sorted that one out, the caravans were attacked and robbed by bandits, including of the packages of screws and nuts for the roof. Alison then sent a mission courier to protect the caravan, which eventually reached the building site towards the end of June 1871. Although Jonathon Mustill, the foreman for the roof who accompanied it from England, suffered badly from the travelling, he and a Sergeant Hockley succeeded in putting the roof framework together by mid-August, when the lack of white lead delayed bolting on the covering plates. Meanwhile, a much more serious problem had developed as a two-year drought over much of Persia brought cholera and starvation to Tehran. Prices rose, commerce was paralysed, cash was short and labour was weak. 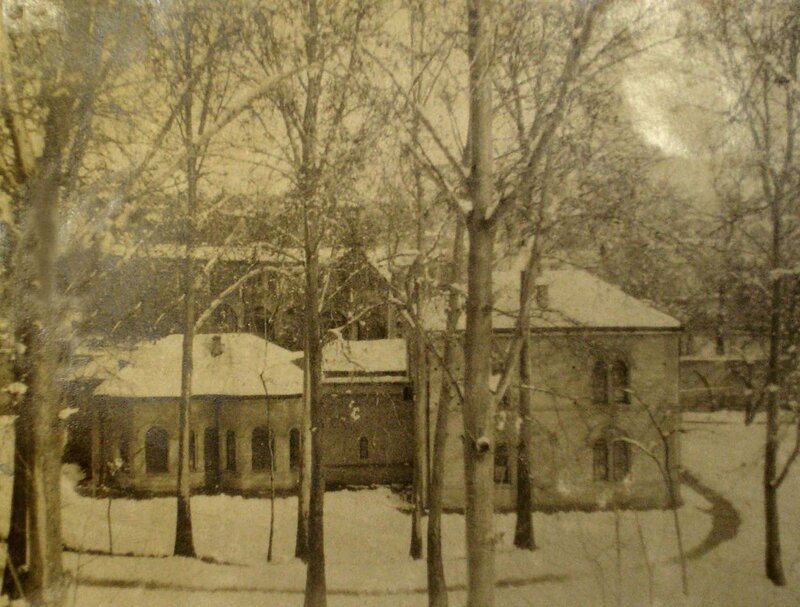 Pierson had no option but to close down the site for the winter of 1871-2, denying himself any chance of completing the project within the three years he had planned. Murdoch Smith sent him off on a six-month inspection tour of telegraph installations. 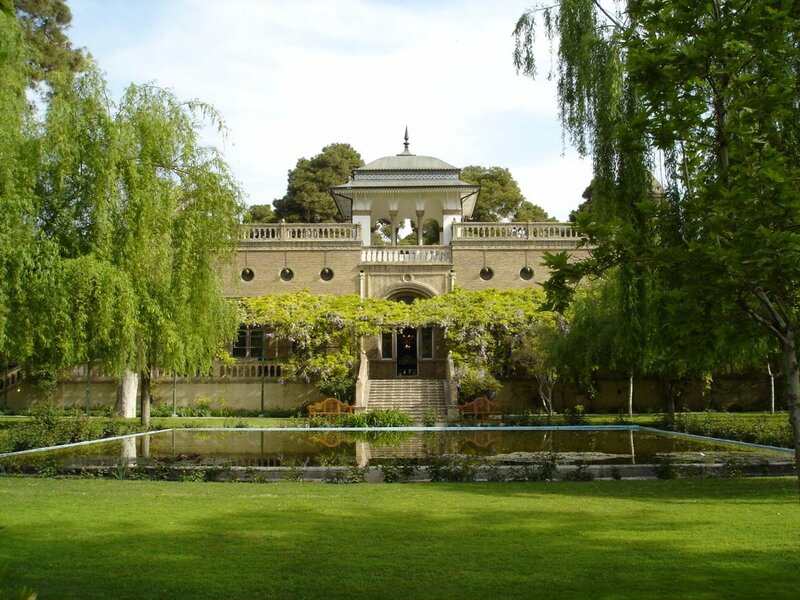 Pierson was back in charge of the Ferdowsi site in May 1872 and the legation was able to occupy most of its new accommodation on its return from Gulhak in the autumn of that year. The interior of the legation house, however, was far from ready: none of the woodwork, plasterwork and decorations had started because Wild’s persistent sickness had put him far behind programme in supplying the necessary details. The death of Alison in April 1872 slightly lessened the embarrassment of the delay. Pierson met Wild and the Office of Works in London in December 1872 to try and advance matters and decided to design the plasterwork for the ceiling in the central hall himself for execution by the excellent Persian plasterers available. Although he claimed to be satisfied with his efforts, he did not repeat them because he thought that his own work ‘stands out in some contrast to the more restrained, classical decoration’ of Wild. Pierson left the project in August 1873, regretful that he could not see the state rooms through to completion, and Murdoch Smith was to keep an eye on the final stages. But two more setbacks upset that plan. It was another six months before some of Wild’s designs arrived, and extremely heavy snowfalls and rainstorms in the early spring of 1874 caused severe damage to the State rooms’ roof. Upon realising that the project would drag on, the India Office withdrew Murdoch Smith from the project, and the Office of Works sent Caspar Purdon Clarke, who worked closely with Wild at the South Kensington Museum, to take over. Clarke arrived in August 1874 with instructions to design everything that Wild had not yet sent. It took him nearly two years to complete the state rooms, even using as many local substitutions as he could for items that were originally planned to come from the UK. 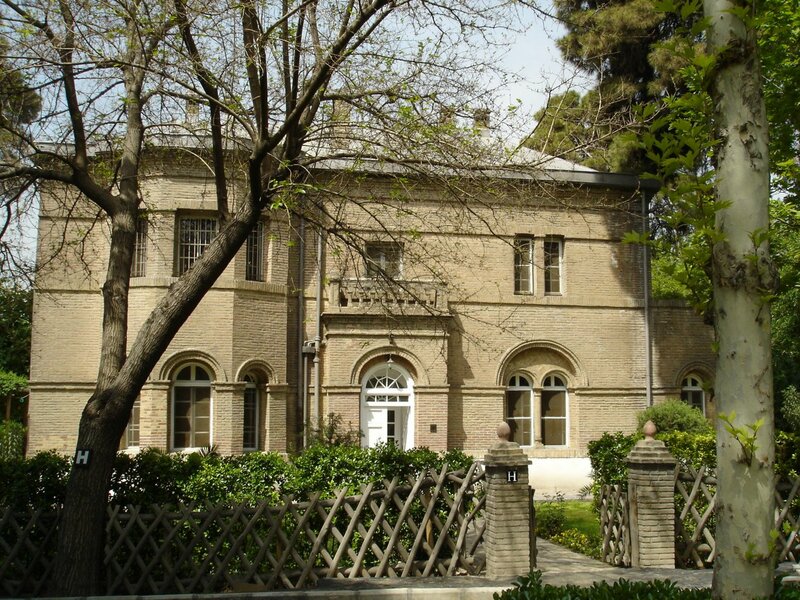 The total cost of the Ferdowsi compound when Clarke left Tehran in July 1876 was about £46,000. Pierson’s contribution to the legation buildings had been enormous. He was well on the way towards high office when he died from dysentery in 1881, at the age of 41, while commanding a field force of Royal Engineers on the North-West Frontier. 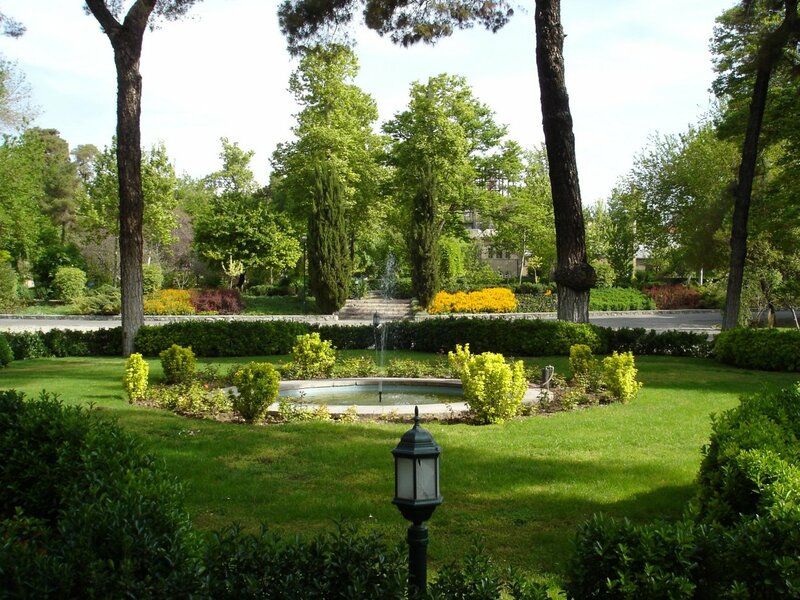 The resourcefulness of his achievement in Tehran lives on, shaded by those that remain of the 1,500 plane trees that he planted in the early 1870s. Wild became director of Sir John Soane’s Museum in Lincoln’s Inn Fields in 1878 and remained there until his death in 1892. Clarke became director of the South Kensington Museum (renamed the Victoria and Albert in 1899), was knighted in 1902 and died in 1911. John Gurney’s ‘Legations and gardens, sahibs and their subalterns’ in the Journal of the British Institute of Persian Studies, vol. 40, 2002, pp. 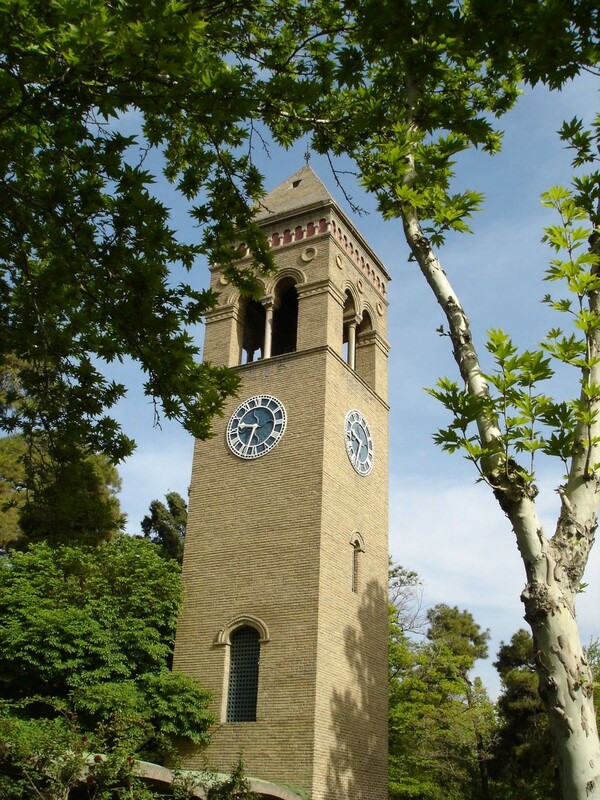 203-23 is a thorough description of the trials of building the Tehran legation compound. Wild’s sketch of the legation house, 1869, looking south-west. Ground floor plan of Wild’s Mission building, drawn 1941. Legation entrance front in 1967 (just after completion of modern porch). Looking down in winter on House B from the Clock Tower, c.1925. Houses E and F, 2005. South, garden, front of State Rooms, 2005. From entrance steps of legation house, looking north, 2005. 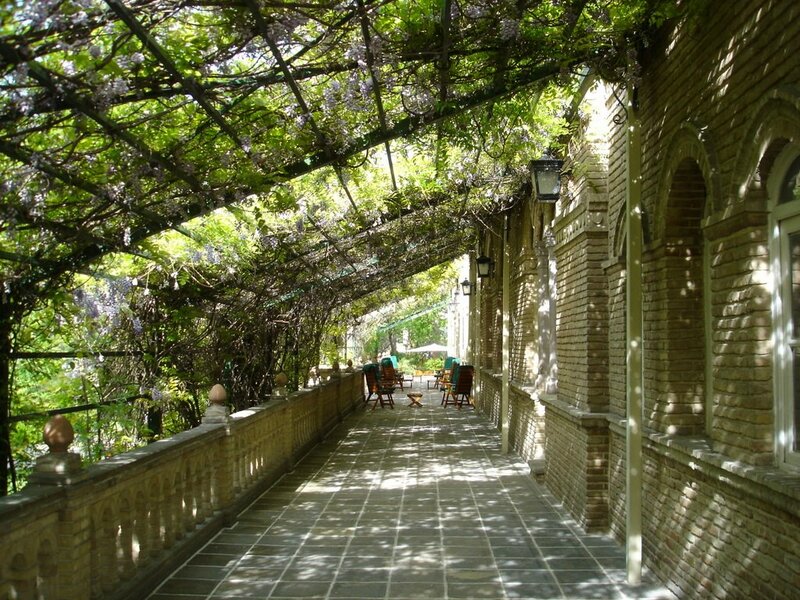 The garden terrace, running the whole length of the State Rooms, adorned with old wisterias, 2005. 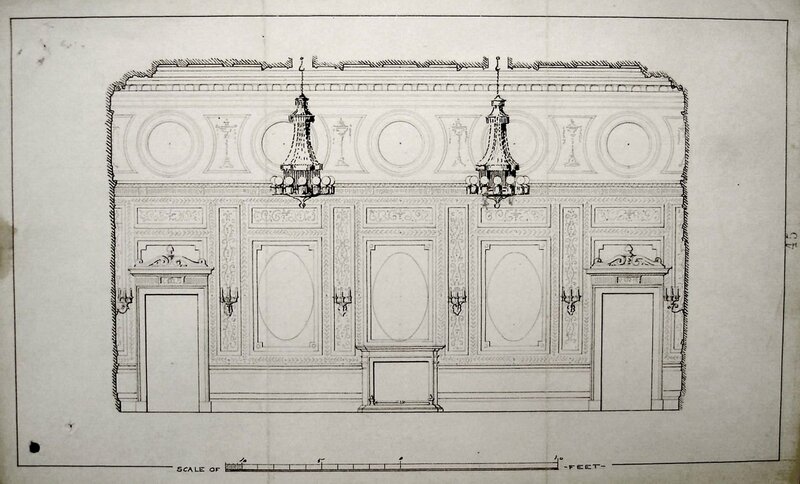 Clarke’s sketch for internal plasterwork, 1875. 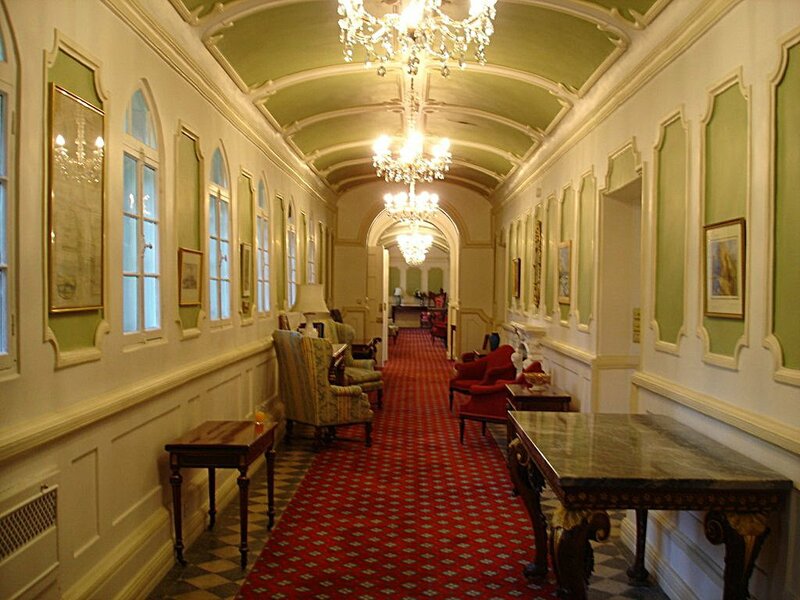 The State Rooms corridor, 2005. 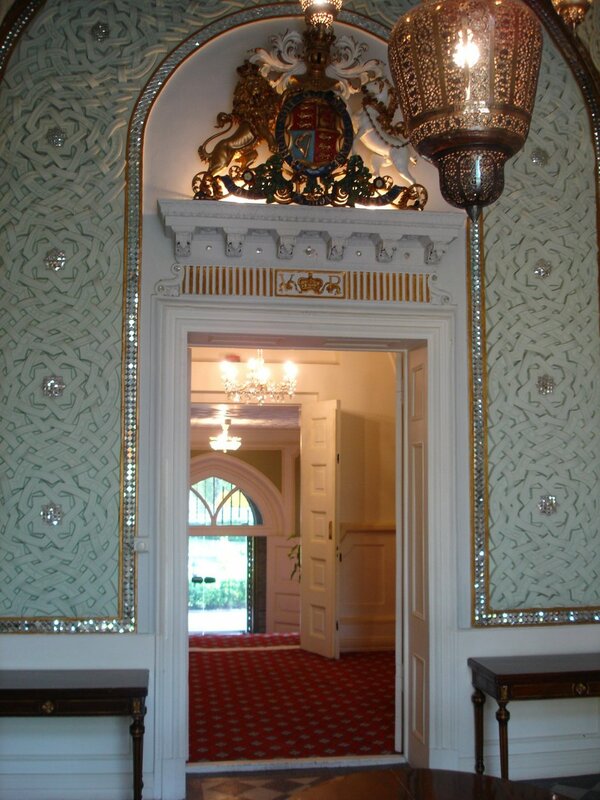 Looking across the State Rooms corridor down to the legation entrance steps, 2005. 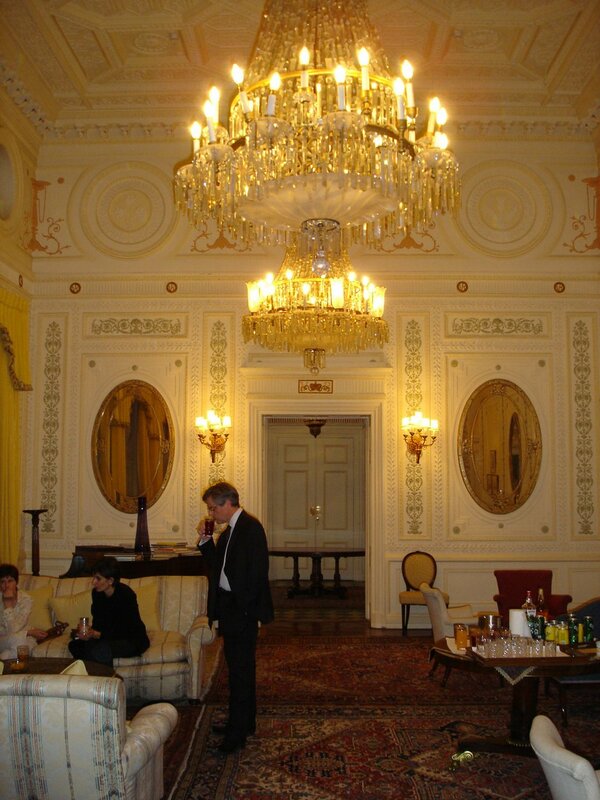 The State drawing room, 2005. 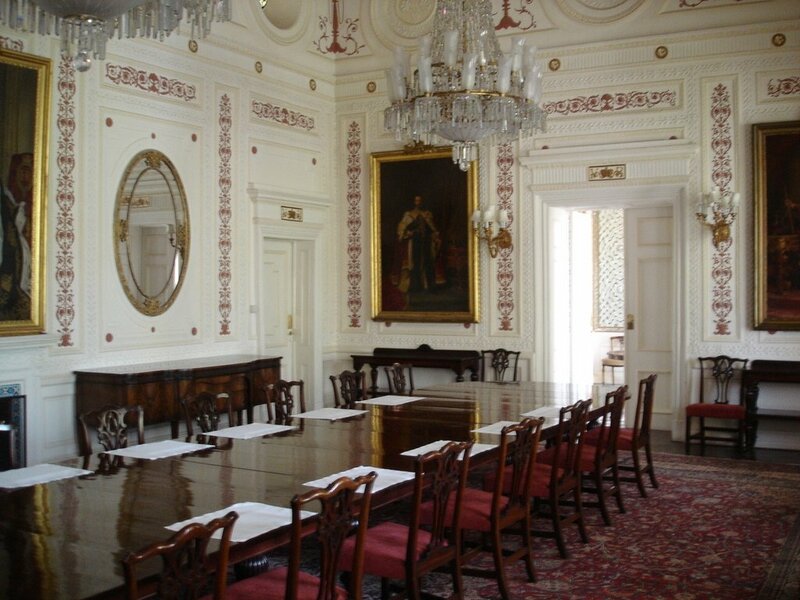 The State dining room, 2005.